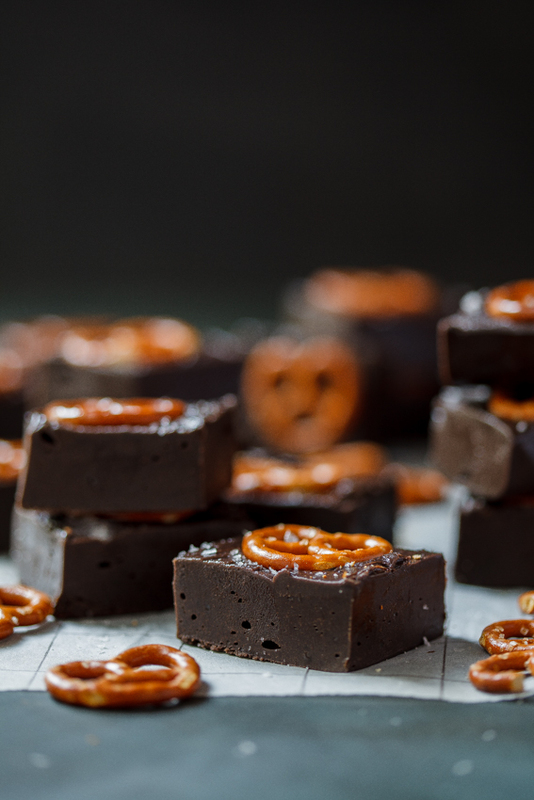 This super easy chocolate fudge recipe delivers fudge as smooth as silk and topped with salted pretzels, make a delectable sweet treat. I know I’m being a terrible temptress right now but once you taste this chocolate fudge, you’ll forgive me. I promise. But before we get to the fudge, I have something to confess. A year ago, you wouldn’t catch me dead near a pretzel. I absolutely despised the stuff. But around December something happened to my taste buds and I could actually stomach them. This opened a whole new world for me (drama queen over here) and I started thinking of recipe combinations immediately. Now listen, they’re still not my favourite snack in the world BUT combined with other ingredients, I really like them. 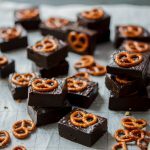 Like the day I couldn’t decide if I was craving something sweet or something savory and kept going between the salty pretzels and dark chocolate. YOU GUYS! 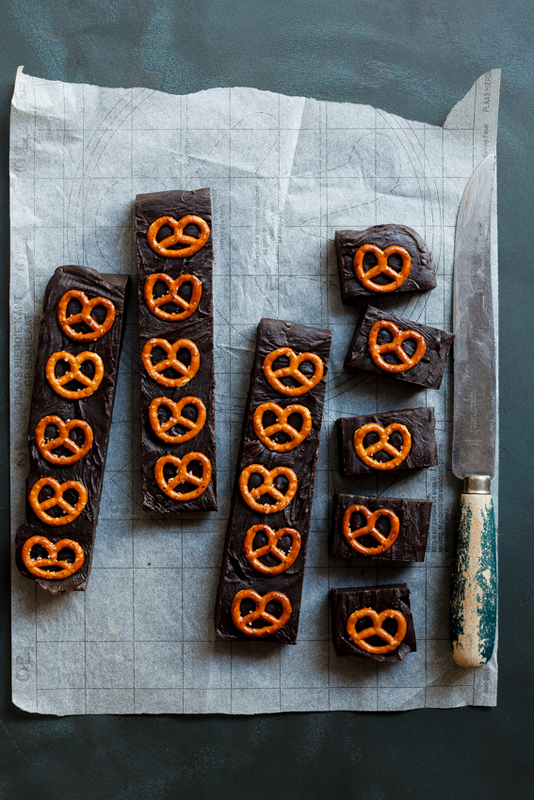 Dark chocolate and pretzels are made for each other. 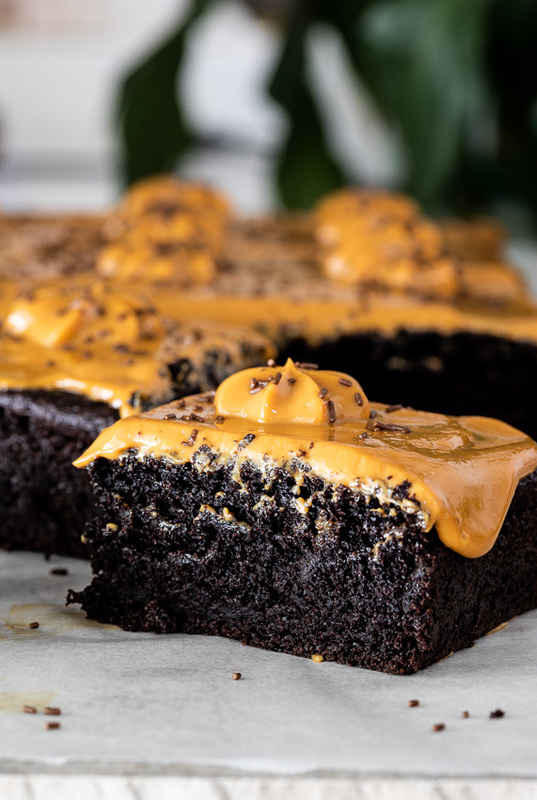 So, I started thinking how I could incorporate those flavours into a recipe and then this bad boy easy chocolate fudge was born. I absolutely LOVE fudge but classic fudge can be quite a mission to make as any sugar-cookery can be. But this fudge? Honestly could not be easier. Just melt together the ingredients, beat in the icing sugar and cocoa powder and you’re done. 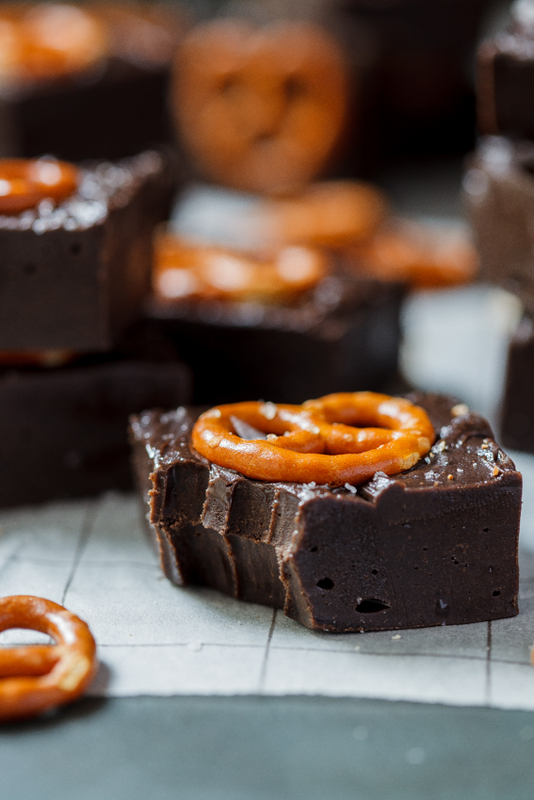 I pressed salted pretzels onto the fudge before popping the fudge into the fridge to set and not only did it make for the prettiest fudge topping ever, it also added awesome texture in every bite and a little of that salty-yum that works so well with chocolate. If you’re so inclined, this fudge would make the most delightful handmade Christmas gift but honestly I would just make this for myself. Merry Christmas to me! 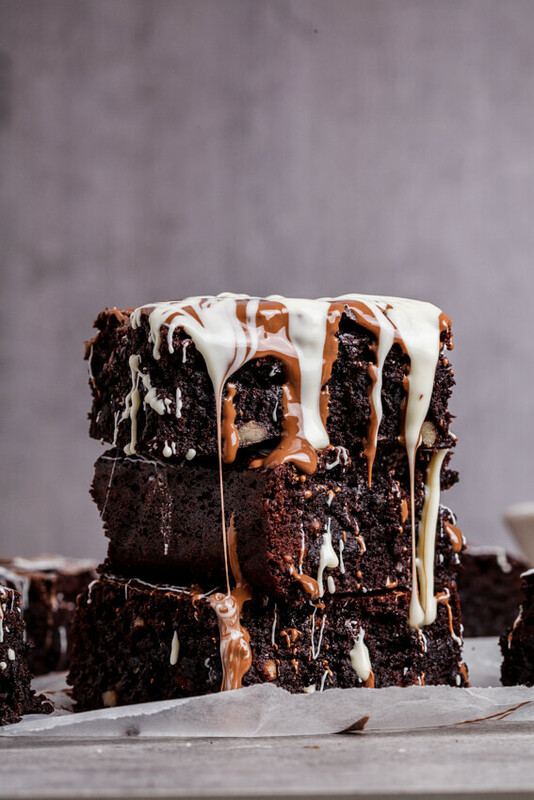 Melt together chocolate, condensed milk and butter over low heat. Sift together icing sugar and cocoa powder. Beat the icing sugar mixture into the chocolate mixture until you have a thick, dough-like consistency. Transfer to a prepared dish, press pretzels onto the top (optional) and allow to set before slicing and serving. Can you make chocolate fudge in the microwave? Definitely! Simply melt the chocolate, condensed milk and butter in a microwaveable bowl in the microwave oven until smooth. Be sure to stir every 30 seconds to make sure the mixture doesn’t burn. Remove from the microwave then beat in the icing sugar and cocoa powder. Melt together the milk chocolate, condensed milk and butter over low heat. Sift together the icing sugar and cocoa powder. When the chocolate mixture is smooth, beat in the icing sugar mix until you have a smooth, thick dough-like mixture. Transfer to the prepared dish and smooth the top. 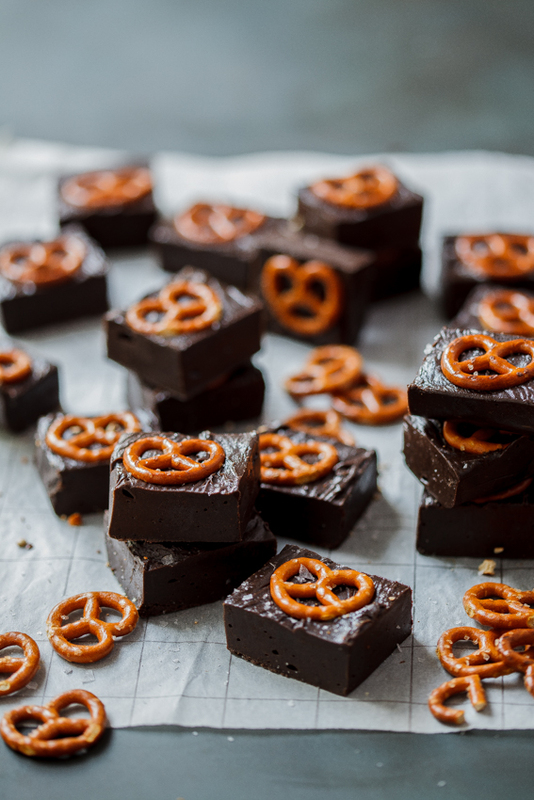 Press the pretzels into the fudge and sprinkle with salt (if using). Place in the fridge for at least 2 hours to set before slicing into squares. Place in a airtight container and keep in the fridge for up to a week. 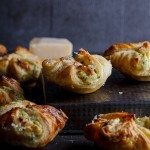 This recipe was adapted from this Carnation recipe. 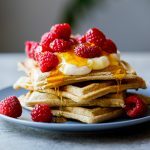 Oh my word – sounds delicious ? I love the combination of salt and chocolate. What a decadent fudge! Me too! Thanks so much Laura! I love pretzels and chocolate together. Sweet and salty perfection! Indeed Karen! Such a good combo! I’m still on the fence about pretzels. If I wanted to replace them, what would you suggest? You could simply leave them out but if you wanted crunch, you could add graham crackers/cookies of your choice. Or you could go completely crazy and top the fudge with crumbled potato chips! Wow! That looks like the best ever fudge! And so easy! Definitely trying this recipe. Thanks Jen! I hope you like it!